Chael Sonnen sees Colby Covington as a trendsetter. It’s no secret that Sonnen has the gift of gab. “The American Gangster” was the first fighter to become a true rival to Anderson Silva. He’s also stirred the pot with Jon Jones and Tito Ortiz. Ahead of his Bellator Heavyweight Grand Prix bout with Fedor Emelianenko, Sonnen has been firing off verbal shots at “The Last Emperor,” something one of the greatest fighters of all time isn’t used to. People often compare Covington to Sonnen. “Chaos” represents the hard-working, in your face style that Sonnen has. Neither man cares about quick finishes, as long as they put in the work to emerge victorious. On top of that, they both aren’t afraid to be just shy of crossing the line when it comes trash talk. 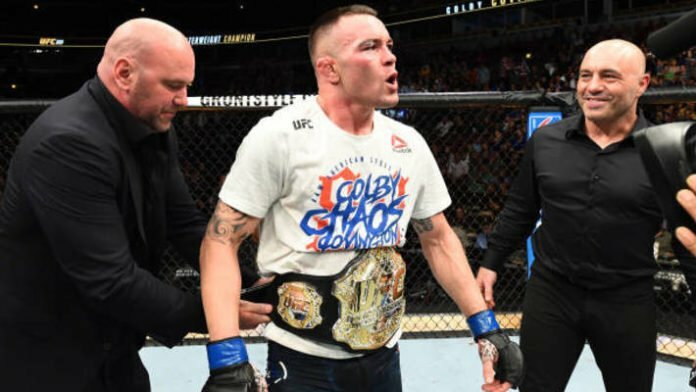 Do you believe more fighters will take the Colby Covington route?